1. 3 groups of 4 players plus 1 GK. 2. 20 x 15 Area Size. 3. Players are given a number each. 1. Players dribble like Xavi and Messi in the box until their number is called when they have to dribble out and strike at goal. 2. Observation of GK and target to choose striking surface. 5.The coach serves in one ball, the two players go 1v1 to goal. 6. 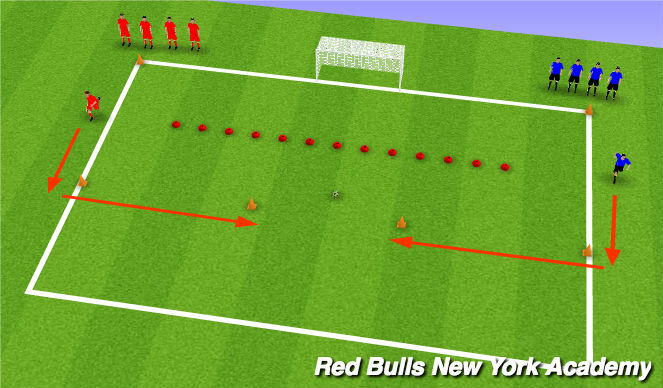 The players must shoot before the line of cones.